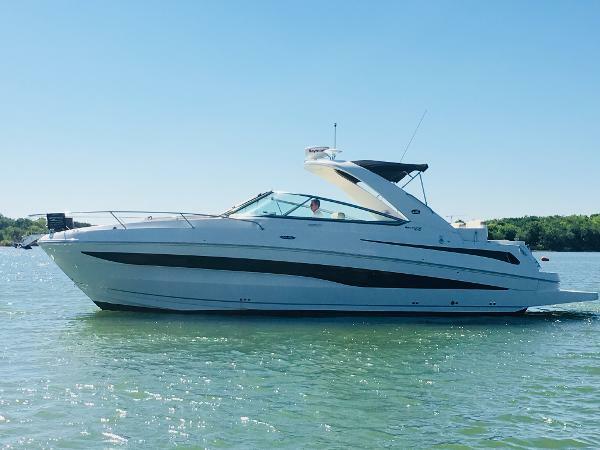 From its sleek, contemporary lines to its expansive living spaces, the 370 Venture may be Sea Ray's most innovative and accommodating express cruiser since we redefined the class in 1974 with our first Sundancer model. No other vessel this size and style can offer the cockpit and cabin space, or the unmatched performance benefits, of this model. And no other brand can provide the superior quality and confidence of Sea Ray. Key Features: Outboard Engine Propulsion Twin Mercury® 300CXL Verado® 4 Stroke Outboard Engines w/DTS Verado engines come with a three-year limited, factory-backed warranty Sony® 12V AM/FM CD player with digital display remote and iPod® connector. Standard air conditioning/heating. Enclosed head with VacuFlush® head system. Full Beam, mid-master stateroom with double berth & sofa SmartCraft® instrumentation standard. Outboard Propulsion!!!! 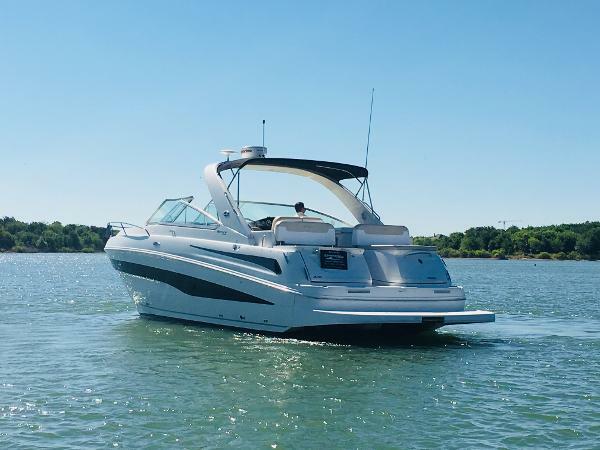 From its sleek, contemporary lines to its expansive living spaces, the 370 Venture may be Sea Ray's most innovative and accommodating express cruiser since we redefined the class in 1974 with our first Sundancer model. No other vessel this size and style can offer the cockpit and cabin space, or the unmatched performance benefits, of this model. 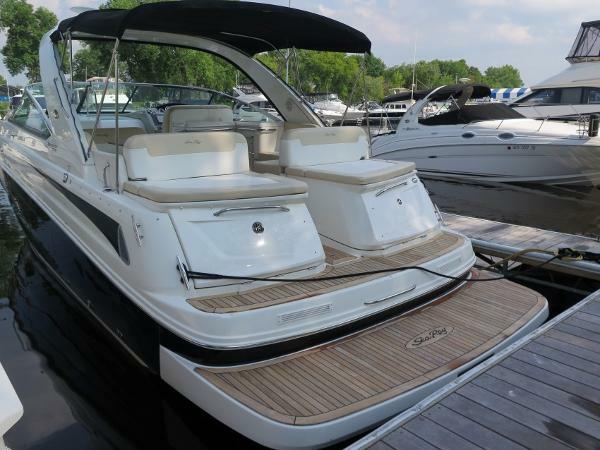 And no other brand can provide the superior quality and confidence of Sea Ray. 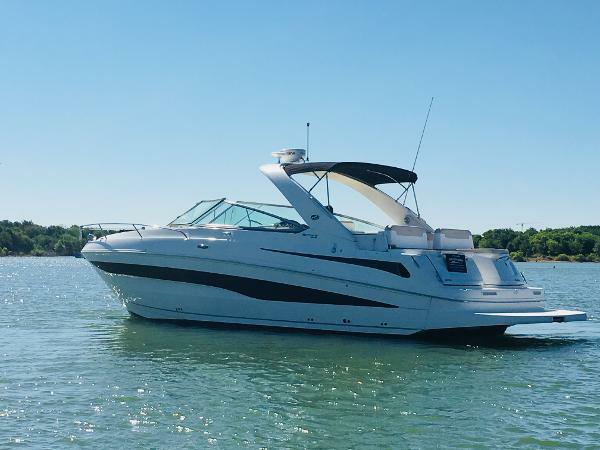 Key Features: Outboard Engine Propulsion Twin Mercury® 300CXL Verado® 4 Stroke Outboard Engines w/DTS Verado engines come with a three-year limited, factory-backed warranty Sony® 12V AM/FM CD player with digital display remote and iPod® connector. Standard air conditioning/heating. Enclosed head with VacuFlush® head system. Full Beam, mid-master stateroom with double berth & sofa SmartCraft® instrumentation standard.